Traditionally, the use of herbal remedies for ADHD has been to ease some of the associated symptoms of insomnia, sleeping problems, and depression. Furthermore, some medicinal herbs are known to sharpen mental focus and increase clarity. Attention Deficit Disorder (ADD), also known as Attention-Deficit Hyperactivity Disorder (ADHD) is a condition which affects between 3% and 5% of the population. Impulsiveness and inattention are its chief characteristics, and it is usually first diagnosed in childhood. It is a little more common in boys compared to girls, and for most, continues into adulthood. The exact causes of this condition are unclear, but it is thought that it is influenced by a complex combination of external and neurochemical factors and although the use of herbal remedies for ADHD may be of great value and work wonders for some people not everyone might feel the same. It seems that is important to look at several areas in determining the right approach for a specific child, including but not limited to, food or environmental allergens, balanced diet, sugar intake, minerals, vitamins, herbs, and exercise. Ginkgo biloba is one of the most commonly used natural treatments for the brain. It increases the brain’s performance by increasing the blood flow to it. This allows it to consume more oxygen, and so increase cognitive ability. The circulatory system is thereby enhanced helping the brain to function at its optimum level. This medicinal herb also acts as an antioxidant, thereby protecting nerve cells. Using ginkgo biloba reduces damage by free radicals, which cause harm to cells and their DNA. The harmful effects of free radicals are believed to be a significant contributing factor in the onset of Alzheimer’s and dementia in the elderly. This ability of ginkgo to protect the brain is the reason why so many herbalists throughout the USA and Europe recommend it as one of the primary herbal remedies for ADHD (ADD). Maritime pine bark (Pinus pinaster) is used mainly in extract form for its antioxidant properties, although its needles are recognized for their vitamin C.
Antioxidants have been determined by many researchers to play a significant role in the repairing and protecting the body’s cells. They help to protect against free radicals, which researchers have discovered are damaging byproducts of metabolism and exposure to environmental pollutants. Some areas that have been linked to the damage of free radicals are aging, heart disease and cancer. It has only been in recent years that free radicals have also been considered as a possible contributing factor in ADD/ADHD. Maritime pine bark is only one of the anti-oxidant herbs currently recommended. Some herbalists have also reported successes with grape-seed extract – a better known anti-oxidant. Eleuthero (Eleutherococcus senticosus), also known as Siberian ginseng is one of the more commonly known herbal remedies for ADHD. It works to increase alertness and improve the brain’s memory function. In a recent study, presented at the American Stroke Association, it was found to have improved the memory of those taking the herb as opposed to a similar group of people who received a placebo. Eleuthero is also known by herbalists to boost immune systems and interacts with the body to assist in reacting to stress. For these reasons the herb could be helpful in treating ADHD, as it protects and boosts the brain in a variety of ways. Gotu kola (Centella asiatica) could be of help for ADHD. 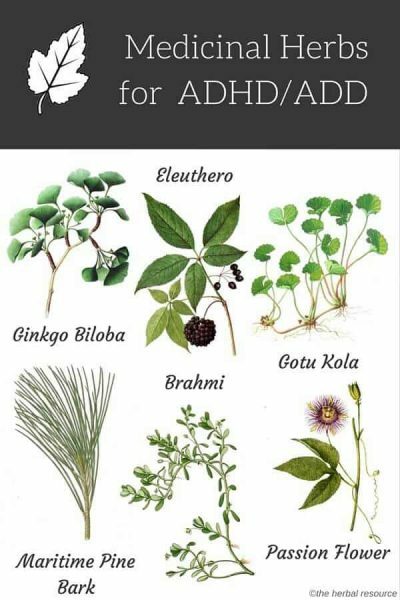 It has been used for centuries in Asia to treat skin diseases and improve brain function. It is thought to stimulate the mind by decreasing anxiety while increasing alertness. Gotu kola is a mild antibacterial, as well as being mildly adaptogen, anti-viral, and anti-inflammatory. It is also known to be anxiolytic, a stimulant to the circulatory stimulant, and cerebral tonic. 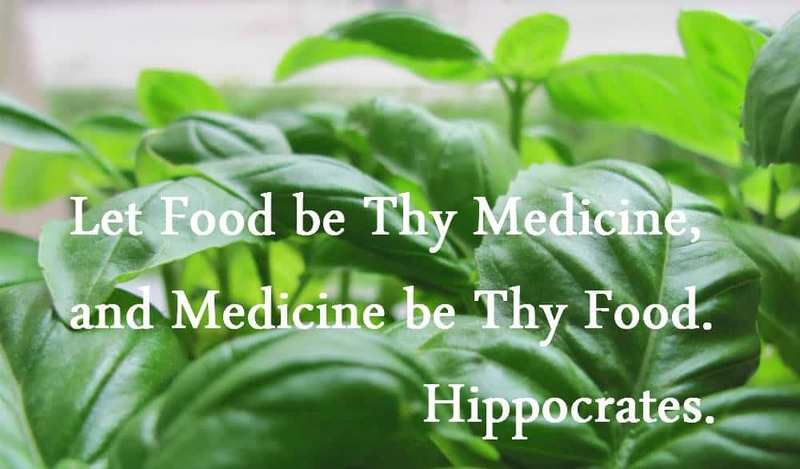 Bacoside, one of the active constituents found in the herb, is thought to enhance cognitive function by improving the transmission of nerve impulses. In a randomized 12-week, double-blind, clinical trial, children with ADHD/ADD who were administered 50 milligrams two times a day showed significant improvement compared to those receiving a placebo when tested for mental control, logical memory and paired associated learning (the pairing of two items – usually words). Rhodiola rosea is an adaptogen herb that has been shown to be helpful in improving focus in both adults and children. It has also been used to combat fatigue and improve memory. The herb increases the sensitivity of the neurological and nervous system that produce serotonin and dopamine, which might make it useful in treating some of the ADHD symptoms. Passion flower (Passiflora incarnata)is recommended by herbalists as an herbal treatment for ADHD. It helps to even out mood swings and increases concentration. According to a study published in the Journal of Clinical Pharmacy and Therapeutics, it was found to have positive benefits in treating generalized anxiety disorder. Thank you for your work compiling herbal information. My grandson was having a difficult time in school. He was so active, and had a hard time listening. He would come home with notes quite often. My daughter was at her wits end, and didn’t know what to do about the behavior problems. My grandson had a quick temper, and couldn’t keep still. My daughter ordered some herbs for adhd, checking to make sure they were safe for children. This was a last resort, before giving him medicines, which in the long run, might have a negative effect on his body. I mixed them up in a bowl, and put it in a mason jar. We would take a spoonful out, and steep the mixture in very hot water, and then mixed it in apple juice. It did wonders! The first day after he drank it, he went ice skating with his two sisters, and was very happy, and helpful with his sisters. He didn’t have any temper outbreaks. It made his disposition much more pleasant, and he was able to handle stress without so many outbursts. He didn’t need to drink it everyday, after awhile. My daughter was really happy to find something that worked for her son, something which helped him be happier, and more able to concentrate. You need to update your information about Attention Deficit Disorder with/or without Hyperactivity. It IS AS common in girls and boys. Girls tend to not be diagnosed as readily because they are physically quieter. In other words, they are not making trouble in classrooms so they are classed as daydreamers, underachievers, etc., instead of anyone looking into the source of the problem. Everyone with ADHD/ADD as a child IS an ADULT with ADHD/ADD. It is a difference in brain function and it does not go away just because you are an adult. The erroneous idea that you will outgrow this REALLY causes problems for ADHD adults. You learn some coping skills (hopefully, if you have had the benefit of proper diagnosis and teaching) but you still have the same differences in neurological function that make you different for the so called “normal” people.